KRK's Rokit 6 G3 powered studio monitors offer professional performance and accuracy for recording, mixing, mastering and playback. Considering purchasing the KRK Rokit RP6 G3? Have questions? Ask people who've recently bought one. Do you own the KRK Rokit RP6 G3? Why not write a review based on your experience with it. I use these at home and even in my DJ booth out on the road. They are robust, delivering great sound again and again. The tough hard plastic case means I can take them from place to place without worrying. I just pack them into a plastic box face to face, no bother. The bottom line is, when you are mixing, you need to hear all the music. The KRK Rockit RP6 G3's deliver real crisp sound so you can. Good quality sound and good size. They are beasts fair play. Great and clear sound, nice looking speakers. Full marks excellent speakers with a beautiful clean sound top marks great value for money! Great quality. Nice clean sound. Perfect speak, I was worried the 6â€� wouldnâ€™t provide enough insight into the bass end - but to be fair the response is decent. These paired with audio technica m50 headphones, have been a dream. Highly recommend for any small to mid room - 5m x 4m. Excellent service & customer care, product arrived on time no delays, highly recommend. Love these monitors, you can't get better quality for the price! Brilliant sound quality, look great, blow the vompetition Out the water! Thanks for your help at djkit, great service. Great sound quality love listening to music out of them everyday!!! I bought two of these speakers to go in my studio, i use them with my turntable setup via my mixer output and i must say the sound from these speakers is top notch, so clear and crisp with great bass. They are made very well and are nice and sturdy not too heavy. Ideal for a small house party ect. Great Product At A Great Price. 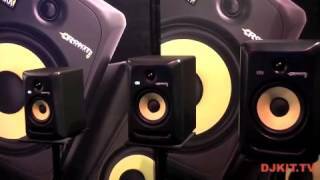 Seen a video for KRK Rokit RP6 G3 online or have you own video? 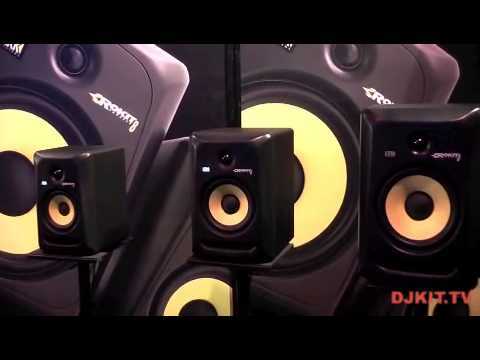 Check out KRK Rokit RP6 G3 on DJkit.com!